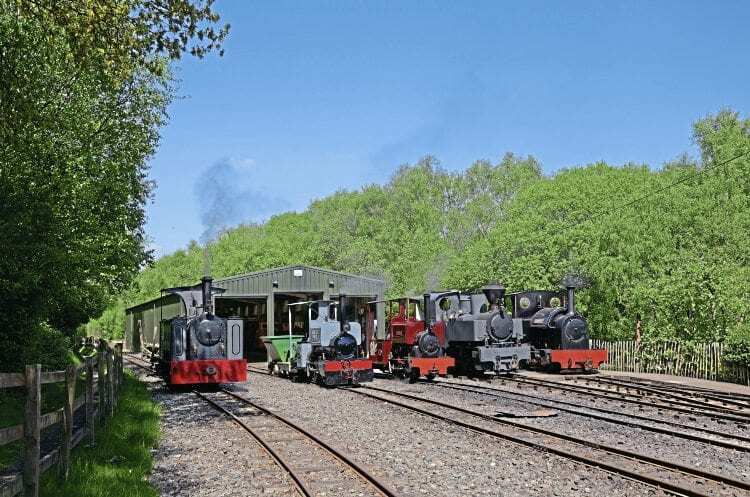 FIVE Kerr, Stuart locomotives line up in the Apedale Valley Light Railway’s yard on May 7, during a shoot organised by 30742 Charters in advance of Moseley Railway Trust’s May 13-14 Stanhope Steam Gala. 0-6-0T+WT ‘Joffre’ 3014/1916 and 0-4-2ST Stanhope. Read more News and Features in the July 2017 edition of The RM – on sale now!